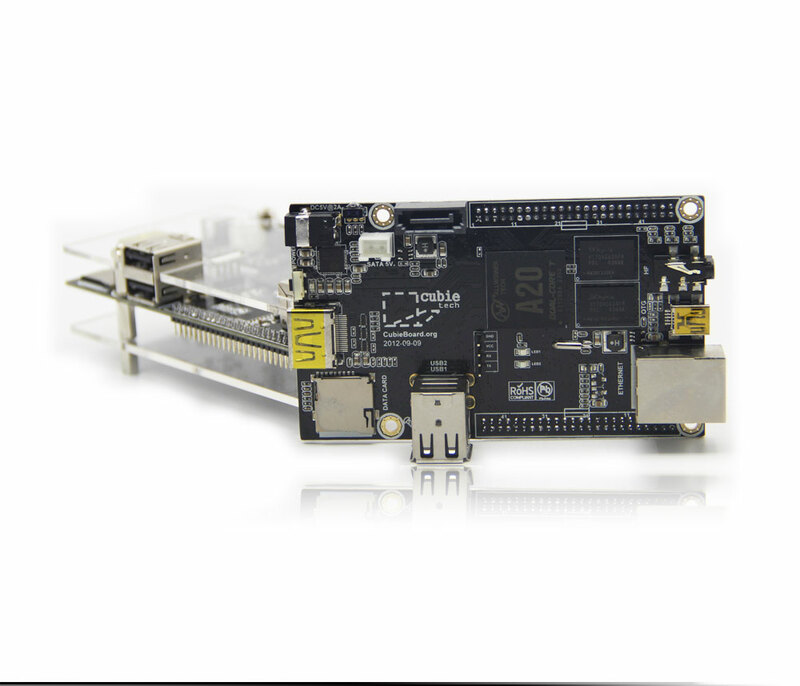 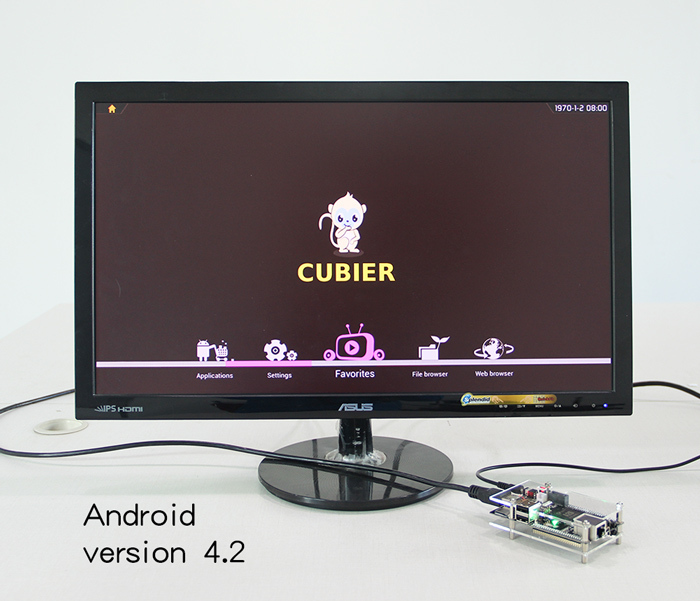 CubieBoard2 is a seamless update version in hardware with dual core CPU and GPU. 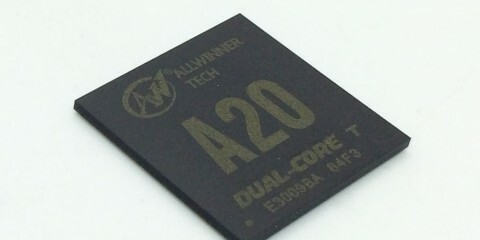 The main chipset Allwinner A20 is almost Pin-to-Pin with A10, So Cubieboard2 and Cubieboard1 share the same PCB design. 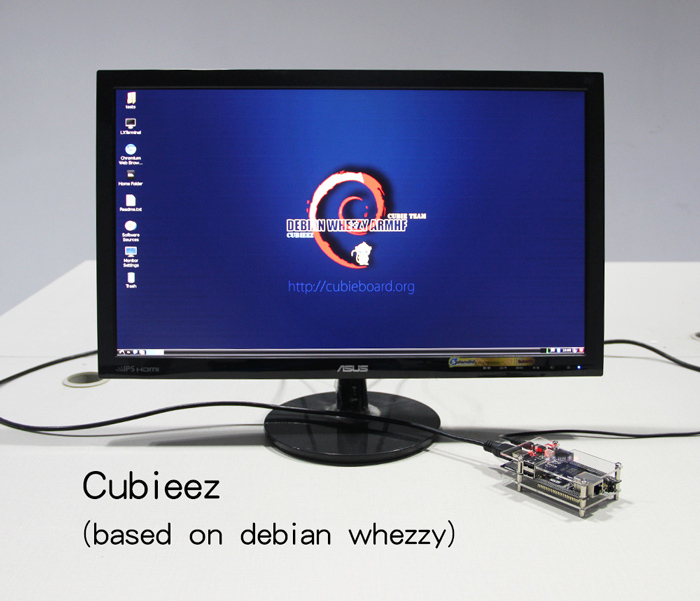 It is open source hardware very suit for developers,geeks, makers and so on. 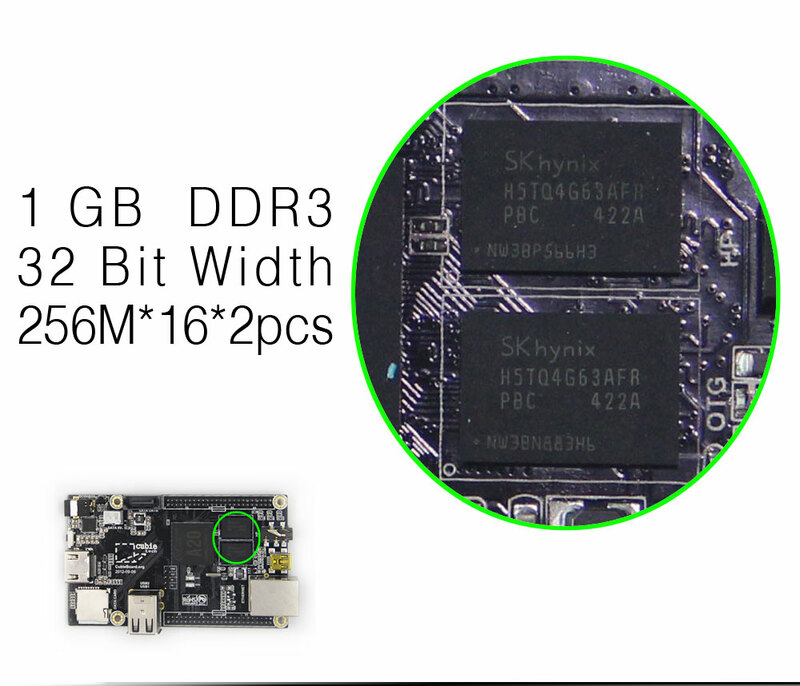 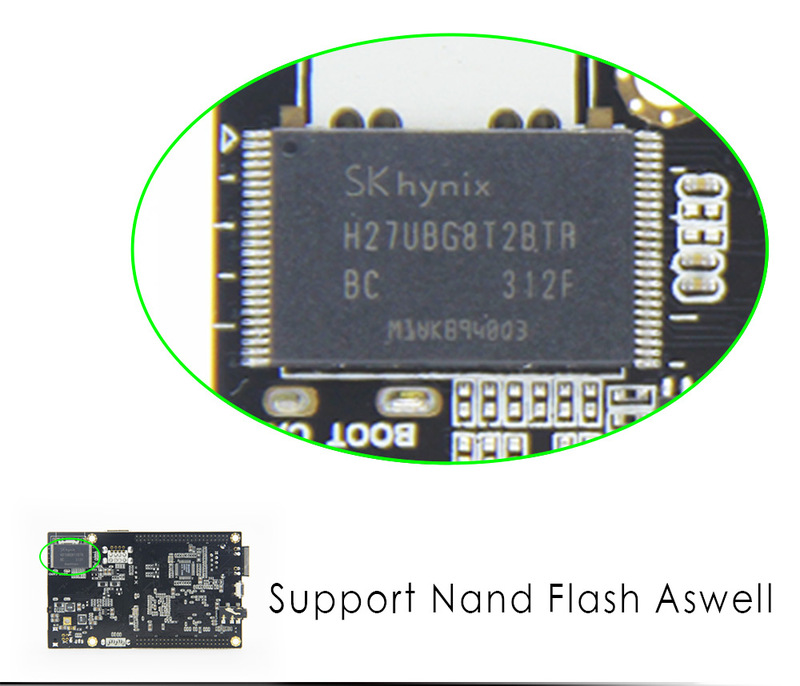 Because of the low cost main chip, rich interfaces and extended pins, and good open source software ecosystem,it has given rise to lots of creative projects and new products. 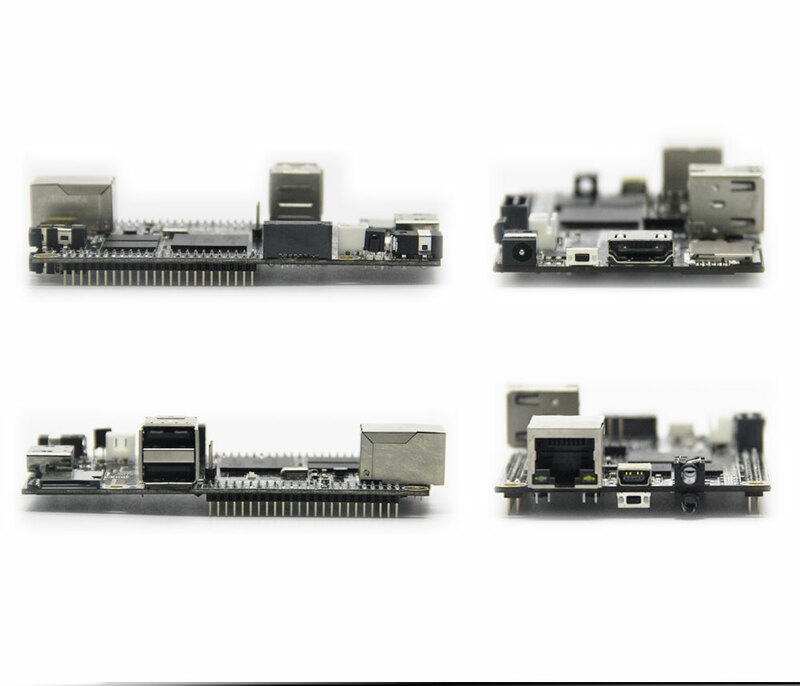 With the passage of time, more and more expansion boards, subboards, modules, and development tools are available. 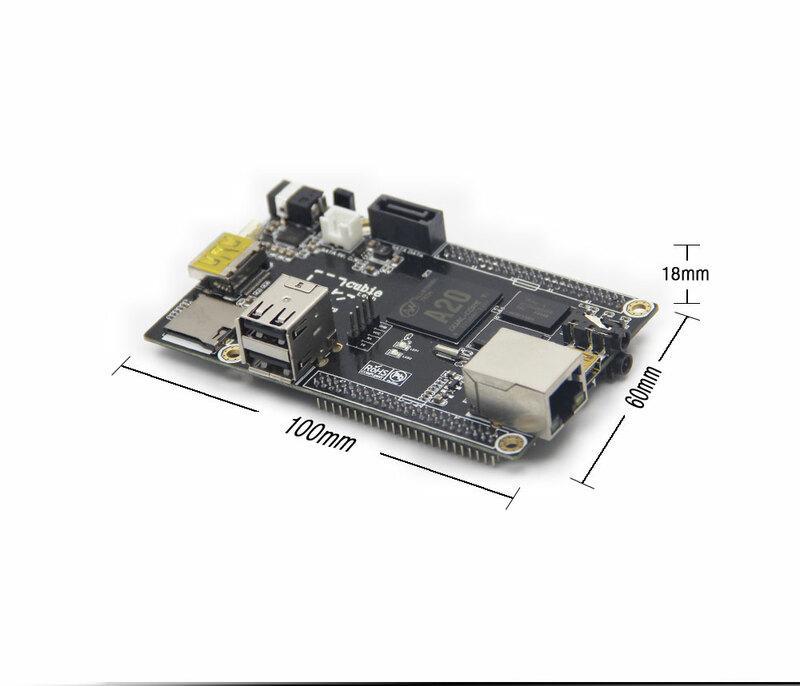 Thanks to the community and the creative teams all over the world, Cubieboard2 is now a big open source hardware ecosystem. 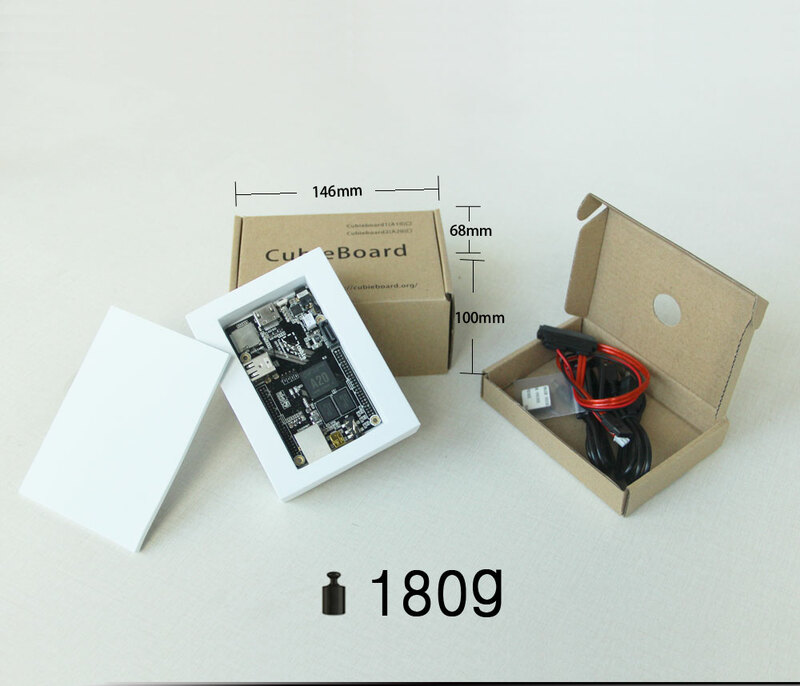 Cubieboard2 is the 2nd generation product of Cubieboard series from Cubietech Limited. 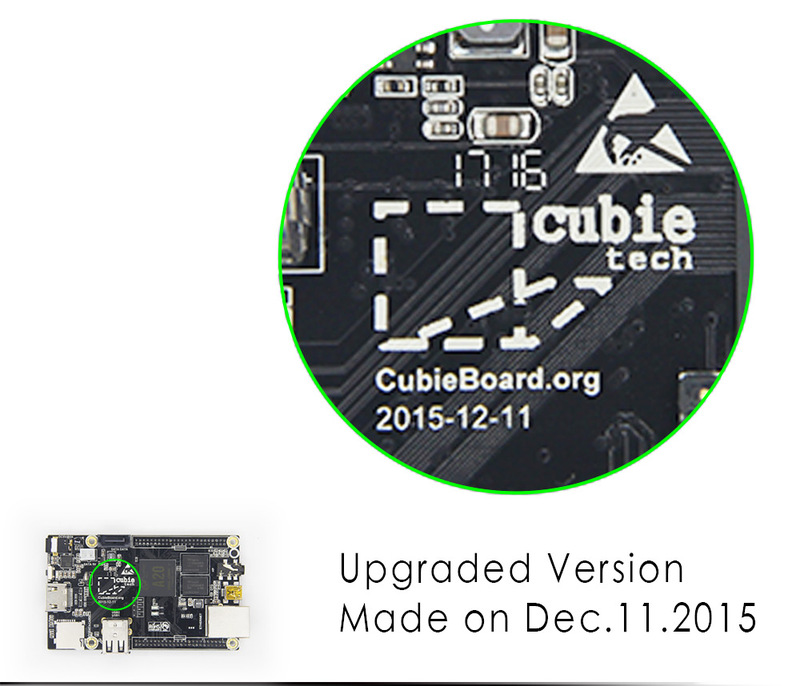 Cubieboard is open source hardware that targets developers, geeks, makers…It’s the same PCB model with Cubieboard1. 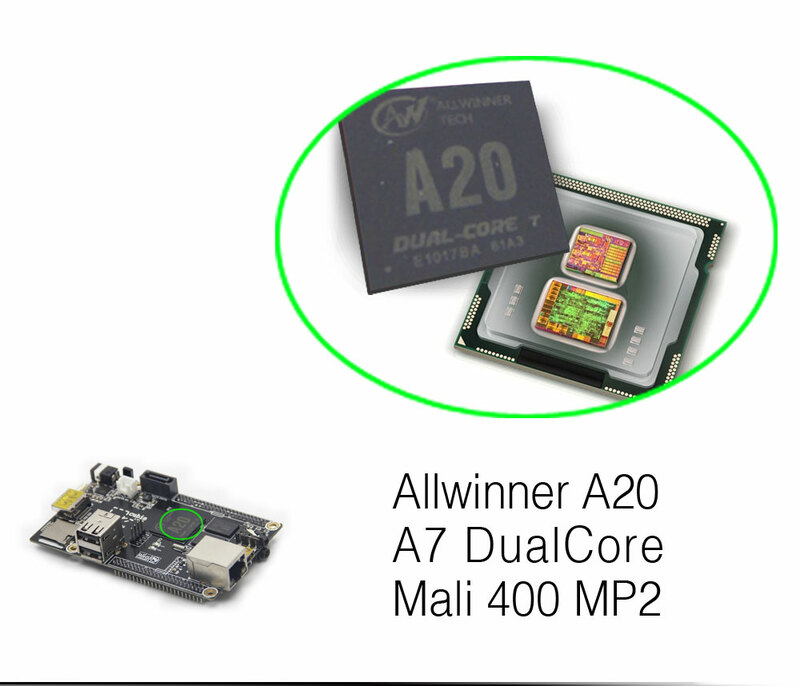 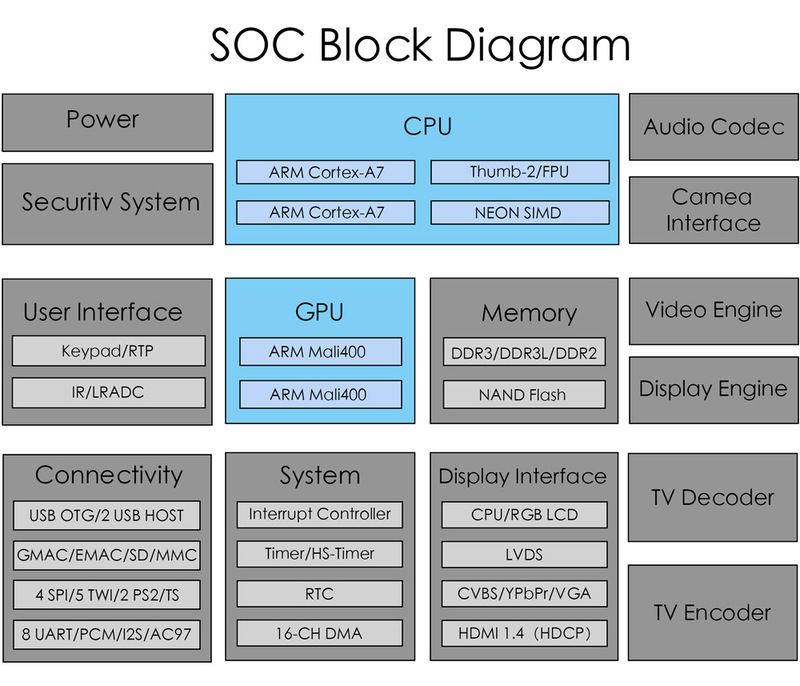 And it is enhanced computing power with dual-core main chip. 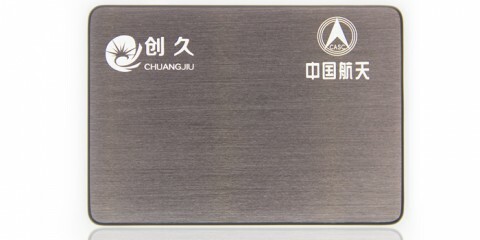 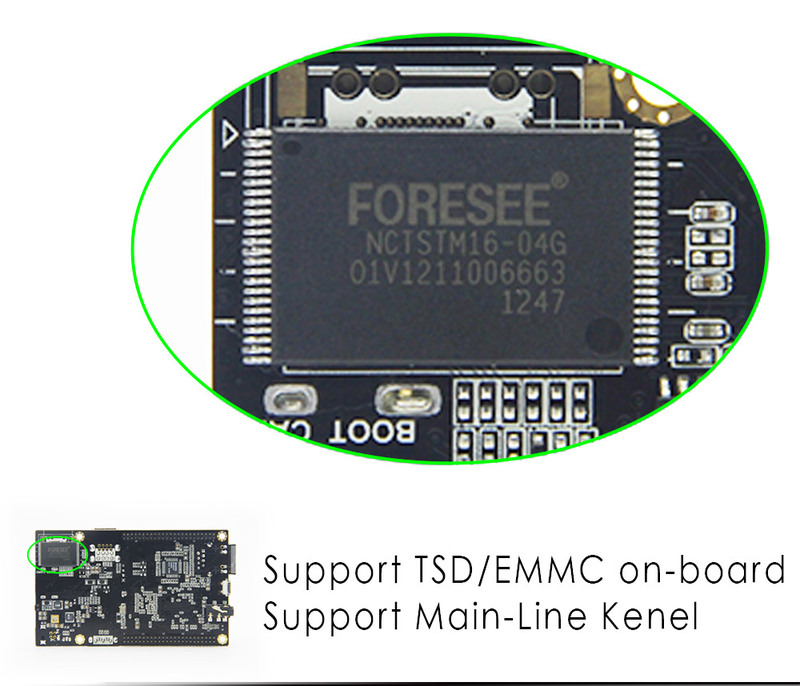 It’s not only for development, but also can be used in various areas as core-board or controller board. 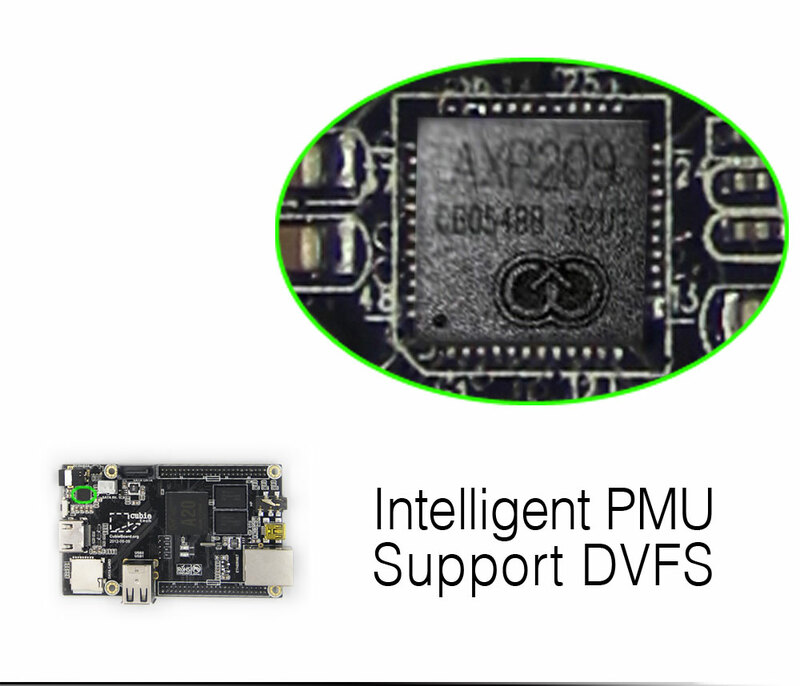 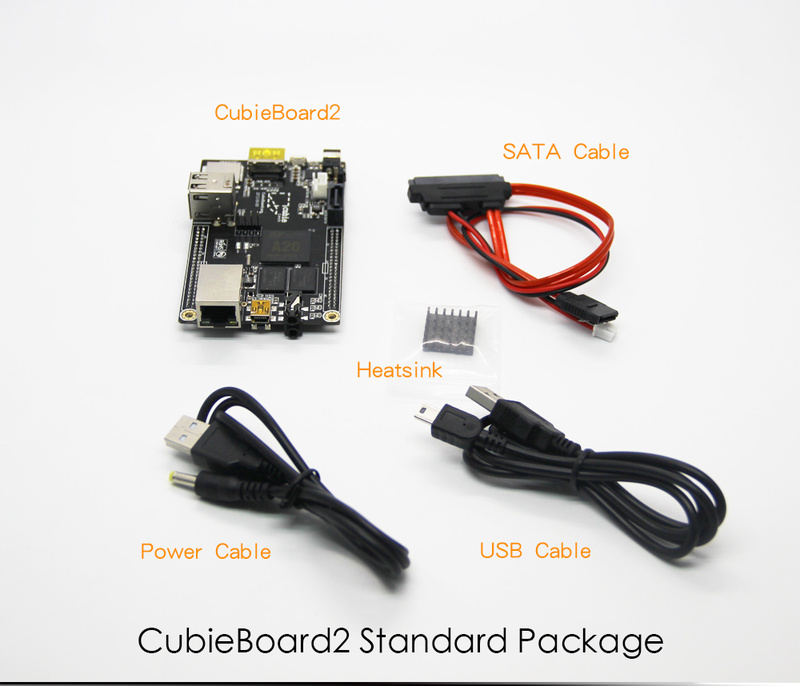 Cubieboard2 integrates the most commonly used interfaces like the desktop PC but with such a small size board. 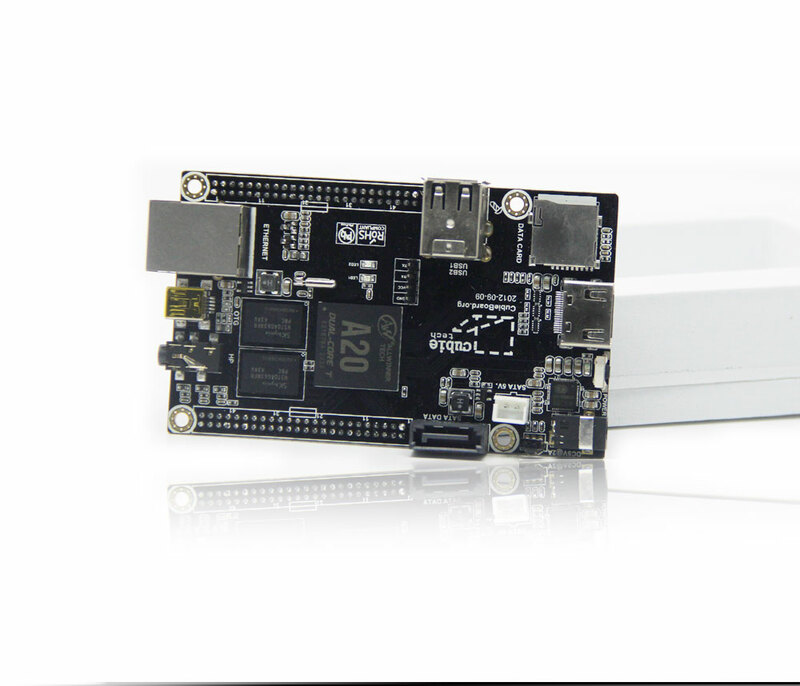 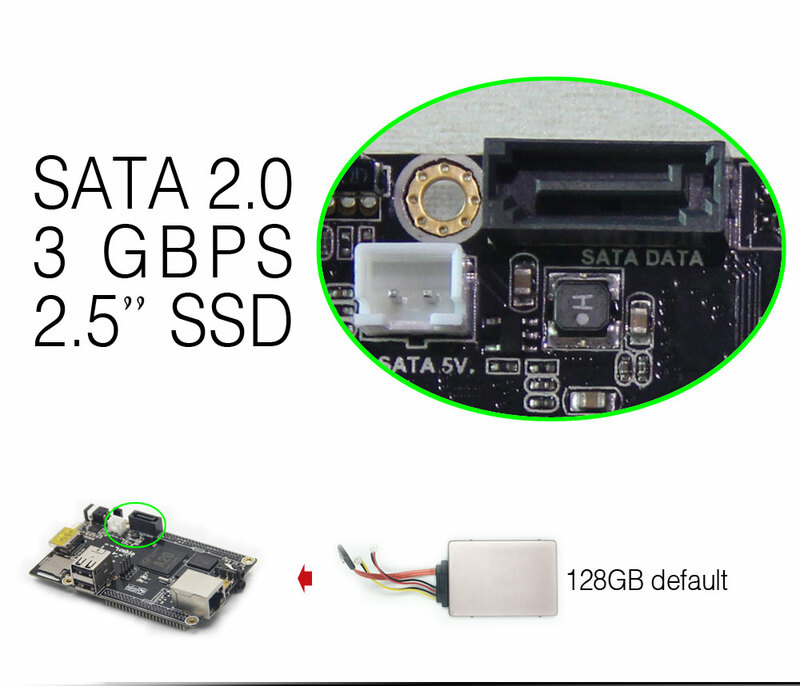 There are RJ45, 2 USB, HDMI, USB OTG, Audio input and output, SATA port, Micro SD card slot, Infrared remote sensor on the board. 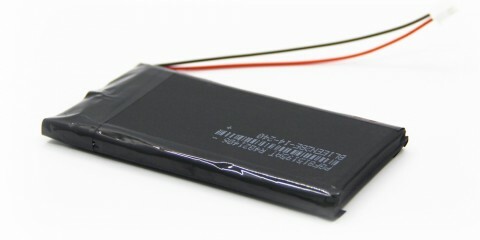 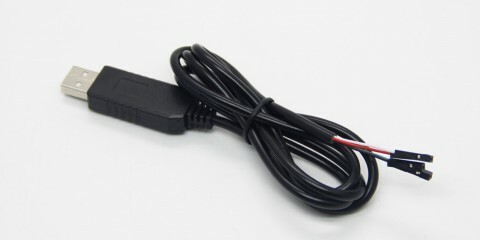 In most cases, the interfaces are rich enough for software staffs.You only need to a 5V@2.5A power adapter to power it. 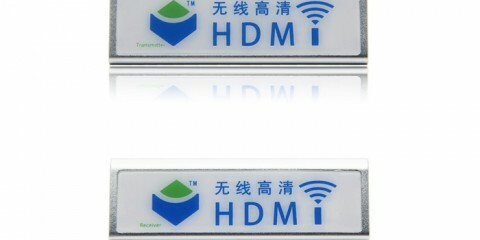 HDMI display is needed to watch the systeminterface, but it’s not required anyway. 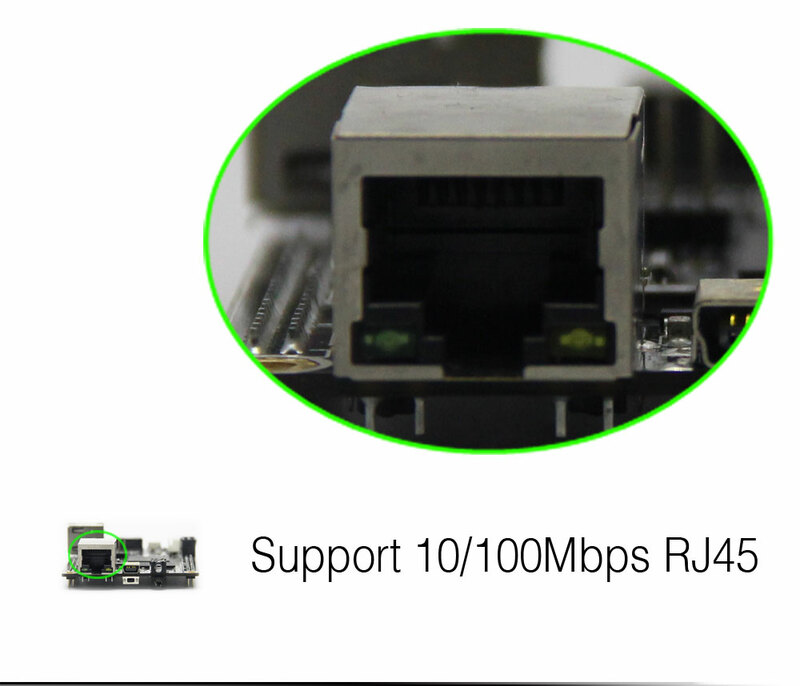 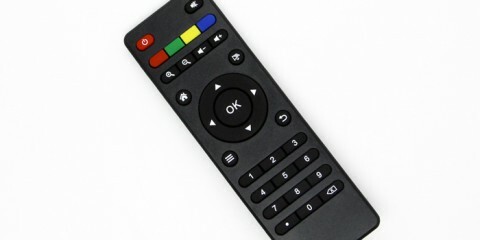 You can use keyboard and/or mouse to control the system, connect ethernet cable to access network. 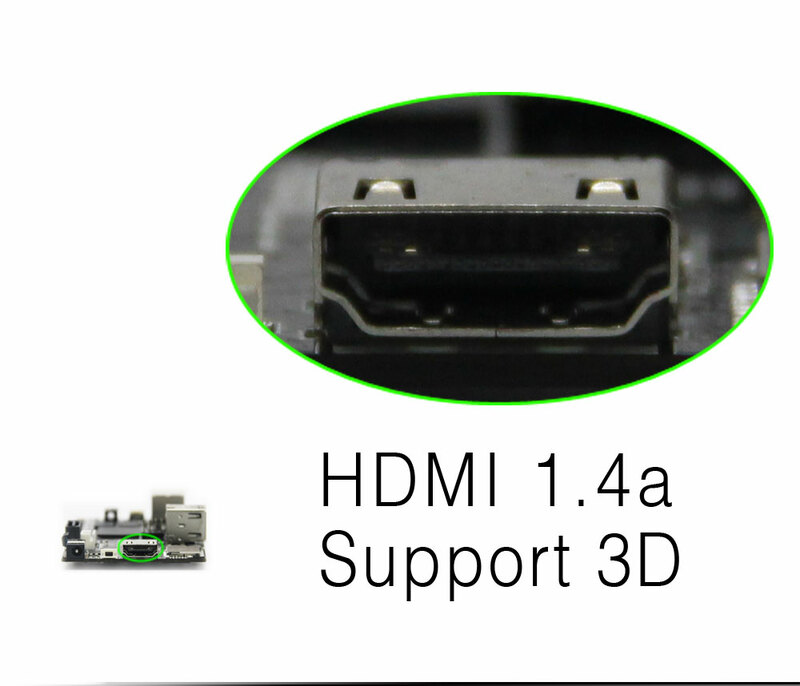 This is the most simple situation to use it in my opinion. 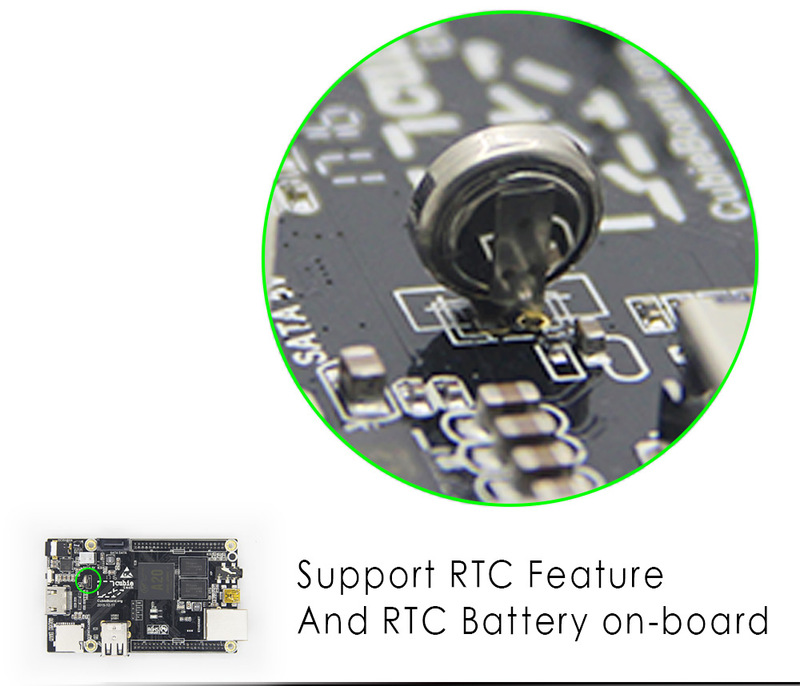 Cubieboard2 can also be used directly into some electronics products as controller board or core board thanks to its quite rich extended pins. 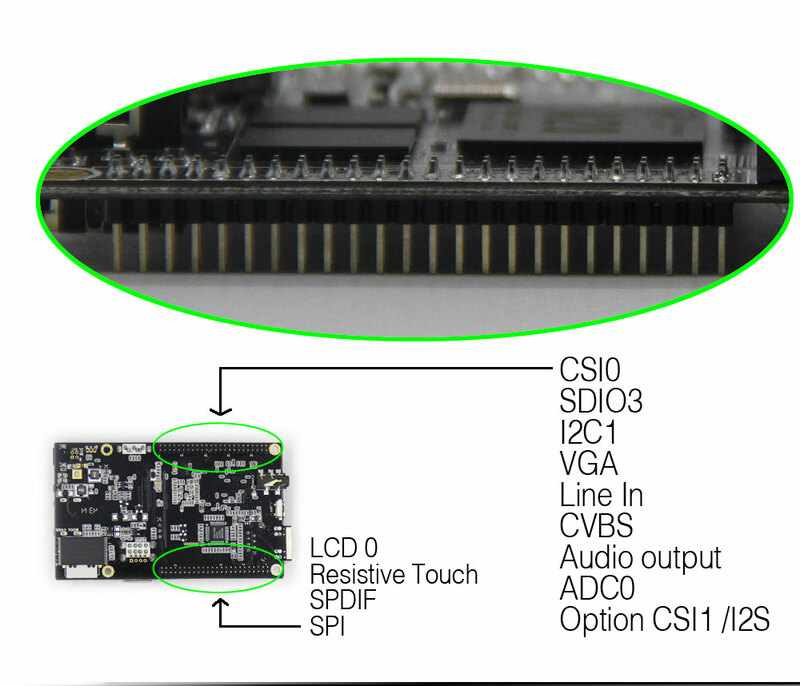 There are 96 pins expansion header which is 2mm pitch on the board. 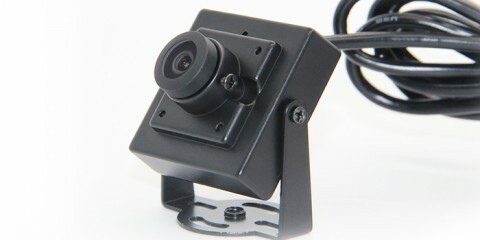 We can change the header’s direction before the shipment if you have this application requirement. 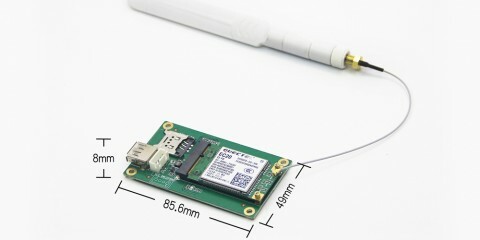 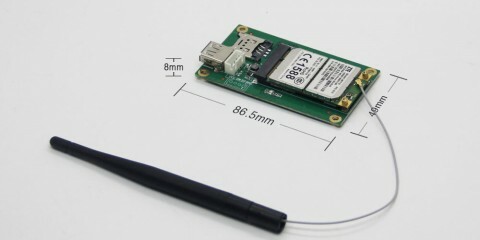 In addition, USB host port and power in connector can also be replaced by 2.0mm pitch pin headers. 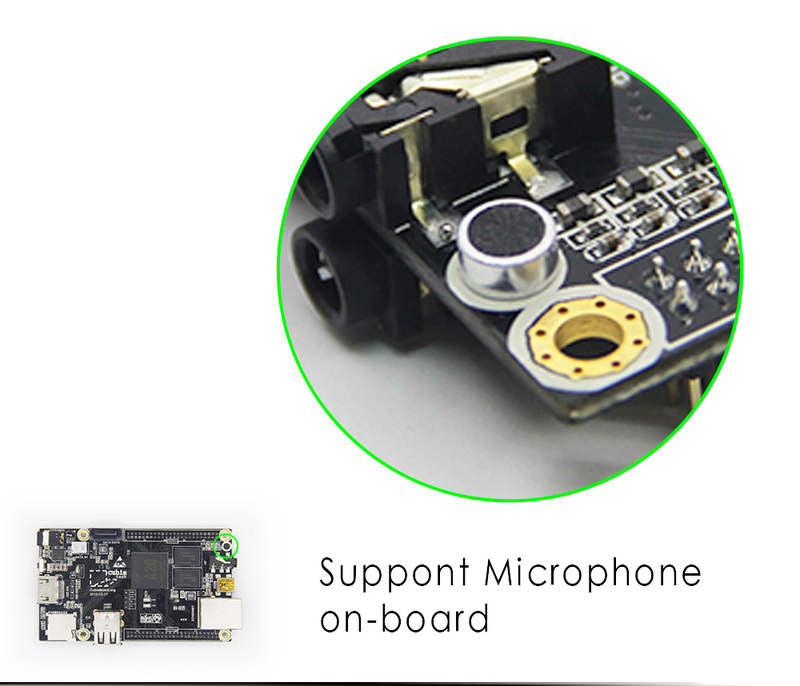 We think Cubieboard2 already provides very large application opportunity for makers and startup team in product development stage.